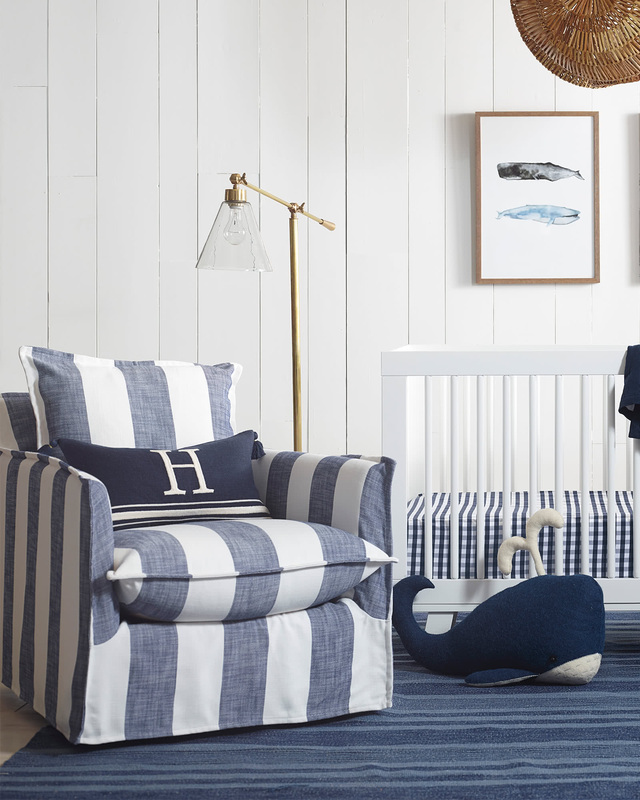 Hayden GliderHayden Glider, alt="Hayden Glider, "
Print No nursery is complete without a glider. 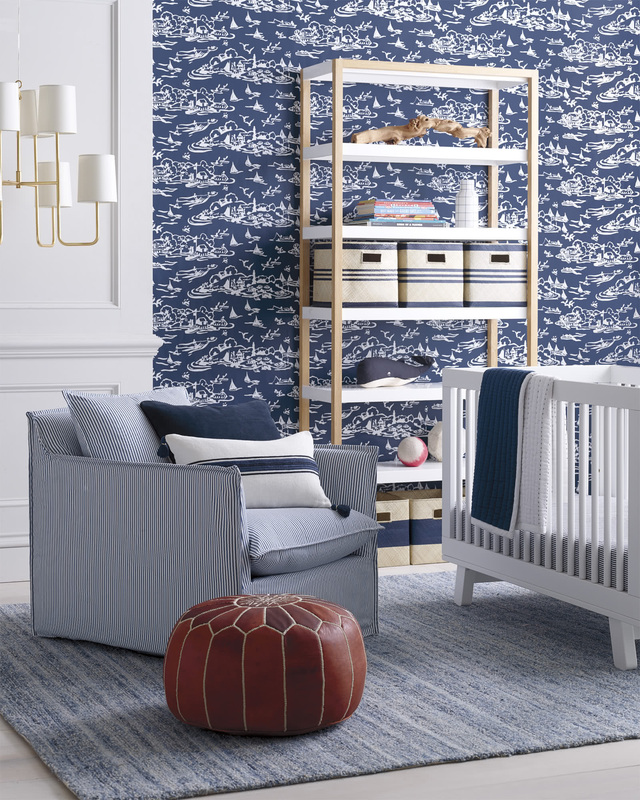 We’ve given this essential a sophisticated update with simple lines that transition well beyond the newborn years. 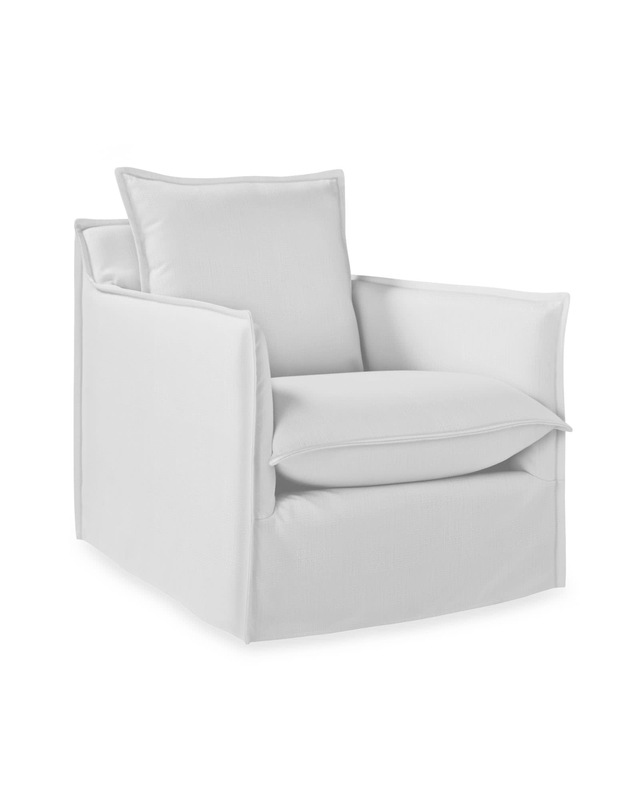 Better yet, it has a smooth base that glides like a dream (perfect for cozying up with your little one). Padding made of sustainable soy-based foam wrapped in recycled fiber batting. Plush, soy-based foam-core cushion sewn into pure cotton downproof ticking. 8-way hand-tied coil springs for resilient support. 31"W x 37"D x 35"H overall. Inside seat: 23”W x 21”D. This item is made to order and will deliver in 6-8 weeks. It arrives via White Glove Delivery. We deliver within the continental United States.